Who's your favorite Jedi? 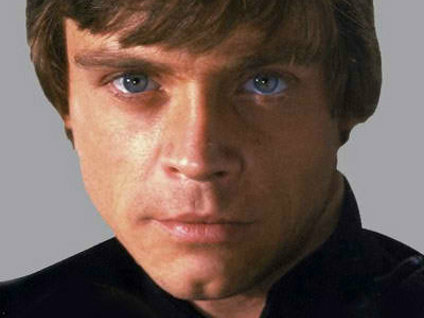 It's a common question, but did you know that your choice of Jedi reveals your personality? Based on scientific analysis of Myers-Briggs personality types we can say that mechanically inclined people like Anakin. People that like peace and solitude like Obi-Wan. Patient people identify with Qui-Gon. Here's a list of what your favorite Jedi reveals about you. 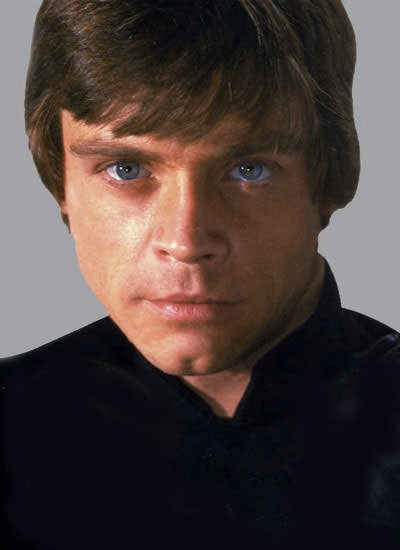 Luke Skywalker was a dreamer. Quiet, reflective, and idealistic. His interest was on leaving his home to serve humanity and this interests you as well. You have a carefully developed value system that you strive to live by and value loyalty and adaptability. Adept at writing and are quick mentally, and are able to see possibilities. Like Luke, you are always looking for ways to understand and help people. If you're a fan of Obi-Wan then it means you enjoy serious, quiet and peaceful living. 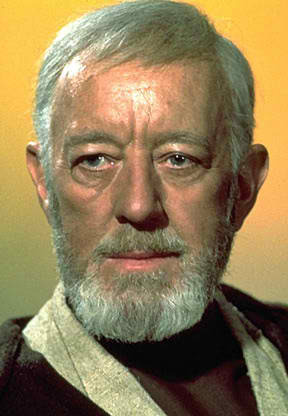 After all, the man lived a patient solitary life on the desert planet of Tatooine for over a decade without complaining. You recognize that Obi-Wan is responsible, thorough and dependable and appreciate those qualities. Your powers of concentration lead you to work steadily toward your identified goals. As long as you have identified what those goals are and why they are important to you. You can accomplish any task once you set your mind to it. 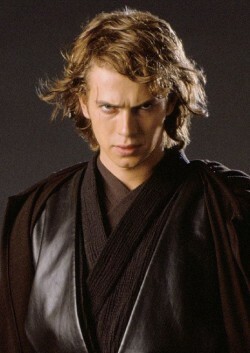 If Anakin is your favorite Jedi then you are a quiet and reserved person by nature. Although your loyalty to your peers and internal value systems may cause you to act impulsively. Fascinated by how and why things work you have excellent skills with mechanical things. You both excel at finding solutions to practical problems. You are a risk-taker who lives for the moment and aren't overly concerned with respecting laws and rules if they get in the way of getting something done. Anakin didn't worry about what his master ordered him to do and neither do you. Mace Windu was a quiet and conscientious person. Like him you can be depended on to follow through, even if swift action is necessary. Like killing the Grand Chancellor of the Galactic Republic. You are selfless and usually puts the needs of others above your own. Stable and practical, you value security and long-standing traditions. 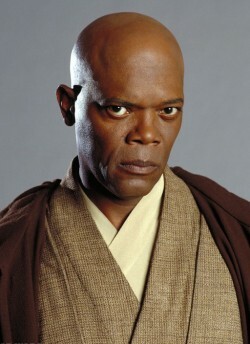 Windu missed the return of the Sith because he held onto the long-standing belief that they were all destroyed. Using your well-developed sense of space and function, you excel at various tasks. People often tell you that you are very perceptive of other people's feelings and are interested in serving others. Qui-Gon Jinn: But not at the expense of the moment. 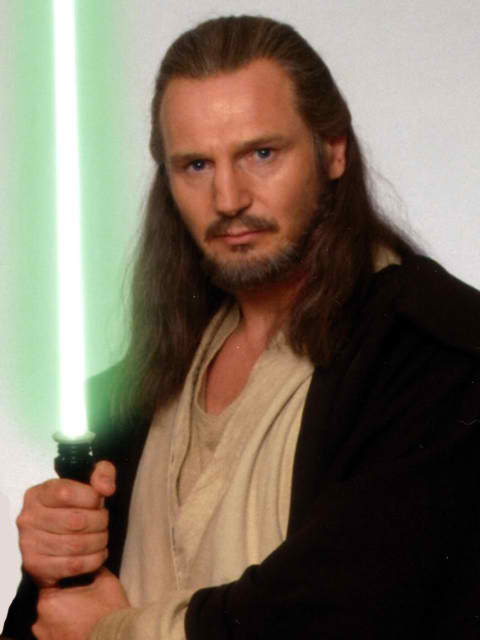 Qui-Gon was a quiet, serious, sensitive and kind person and you value that. Anyone that could put up with Jar-Jar Binks without snapping him in half has to be incredibly patient. You do not look for or like conflict, and are often looking for ways to avoid generating it. But, you do not shy away from defending what you believe in. You have an incredibly well-developed senses and these lead you to appreciate beauty in the word around you. Like Qui-Gon you are original and creative. Living in the moment. You have natural leadership qualities, but are not interested in controlling others. Once a member of the Jedi Order, Dooku left for the Dark Side. Like him you are quietly forceful, original, and sensitive. Only taking action when it is the right time and is necessary. You stick with a task until it's complete thanks to a strict adherence to a value system that you have carefully developed. You persevere when doing what you consider the right thing. 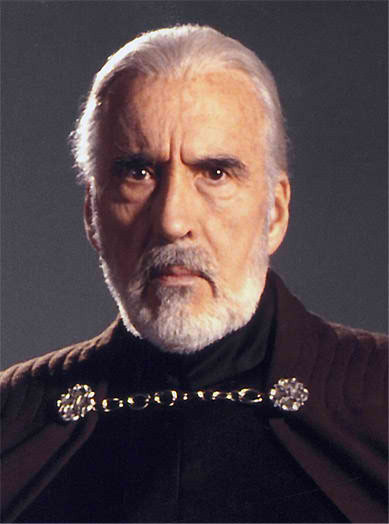 Like Dooku, you have a deep understanding of people and human nature, and while he used it to manipulate others, you often use it to show concern for their feelings. Dooku was never a follower and neither are you. You are an individual. 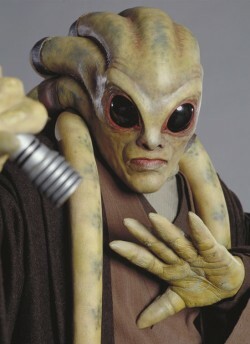 Anyone that can appreciate the quiet power behind Kit Fisto is independent, original, analytical, and determined. He was one of the first Jedi to storm the Geonosian arena against incredible odds and you value that. With your developed ability to turn theories into solid plans of action you are a long-term thinker. Knowledge, competence, and structure are important to you and so reading is a part of your life. You set very high standards for yourself and others. 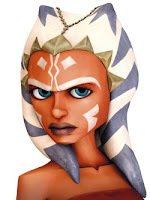 Like Fisto, you are a natural leader, but will follow if established leaders earn your trust. Yoda was known as a logical, original and creative thinker. You appreciate this since you are a very thoughtful person yourself. It's easy for you to become excited about theories and ideas. Especially since theories quickly become clear understandings in your mind. Ideals such as knowledge, competence and logic are valuable to you. 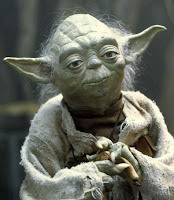 Like Yoda you are quiet and reserved and people sometimes have trouble getting to know you well at first. You are an individual with no interest in following others. Skywalker: "It was foolish of you to take on Grievous by yourself!" Tano: "Well, I was leading the mission, and it seemed like a good idea at the time!" Ahsoka is friendly, adaptable and action-oriented which is why you identify with her. Focused on immediate results, you live in the moment. A risk-taker who lives a fast-paced lifestyle. Concerned only with important details, you grow impatient with long explanations. As a person extremely loyal to your peers, you're not respectful of laws and rules if they get in the way of getting things done. You excel at dealing with others thanks to your people skills. Which is your favorite Jedi? Does this reveal anything about you?